Greece visa requirements depend on what type of visa a person is seeking. Greece has a lot to offer. It is a beautiful country with a rich history and many fascinating tourist hot spots. A person who wishes to obtain a visa to this intriguing country should consider the following information carefully. According to About.com, most countries do not need to apply for a travel visa in order to stay in Greece for up to ninety days. In fact, the only people that need to apply for a visa in Greece for tourist purposes are those that are nationals of Angola, Bangladesh, and the Republic of the Congo, Ecuador, Eritrea, Ethiopia, Ghana, Hong Kong, India, Iran, Iraq, Nigeria, Pakistan, Somalia, Sri Lanka, Sudan, Syria, and Turkey. This information is current as of January 19, 2011. However, whether or not a particular nationality is required to obtain a travel visa beforehand or not can change immediately and without notice. It is often a good idea to confirm this information with the airline or Greek embassy. It should also be noted that a travelerâ€™s passport would need to be valid for three months after his or her projected stay in the country.Â He or she is also required to have an ongoing or round trip ticket. However, Greek customs will rarely ask a traveler to produce an ongoing or return ticket. Once a person has been allowed into the country for a ninety-day period, he or she can use this Greece visa either for tourism or for business purposes. 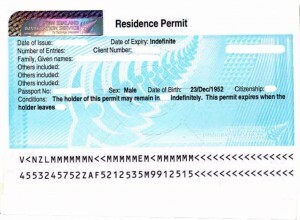 There are different types of resident visas. The requirements for each type of visa vary. Those who are EU citizens are allowed to travel to, work and live in Greece without restrictions. Non-EU citizens will need to apply for a Greek visa in their home country. The following information is taken from www.athens.usembassy.gov and is current as of November 2010. A person that wishes to retire in Greece can obtain a resident permit by showing that he or she has full medical coverage from a US insurance company. He or she will also need to provide a health certificate from a Greek hospital and proof of support from a pension, investments or some other source. A person applying for a Greece visa for study purposes will need to show that an education institution in the country has accepted him or her. He or she will also need to show his or her FBI Record (obtainable from the FBI for a small fee), funds for tuition and living expenses, a health certificate and proof of health insurance. These requirements also apply to a person who intends to work for a company in Greece. 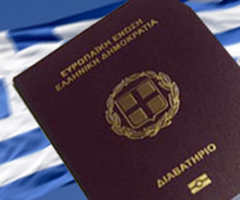 He or she would need to show a work contract in place of a certificate of acceptance from a Greek educational institute.Â While a person who intends to work in Greece does not need to show a bank statement proving sufficient income for his or her stay, the applicant may need to show enough funds to get set up in the country. A person who wishes to visit, work in or move to Greece should obtain the proper Greece visa.Â It is also important to allow time for the visa and other papers to be processed. In some cases, the paperwork for a Greece visa can take some time to come through.